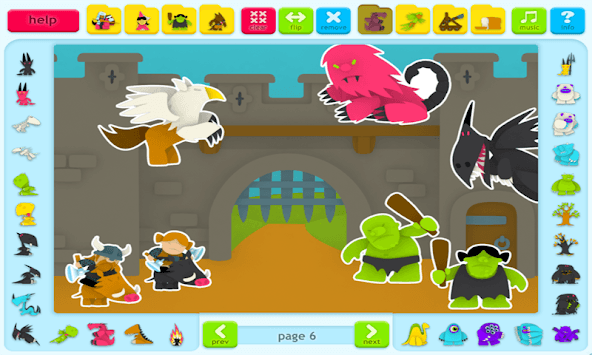 Place stickers of dragons, knights, princesses, monsters, and more on scenes. 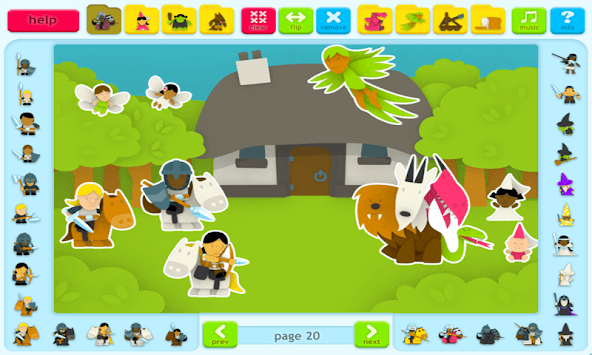 This second Sticker Book has stickers from the fantasy world -- dragons, knights, princesses, monsters, and many more. 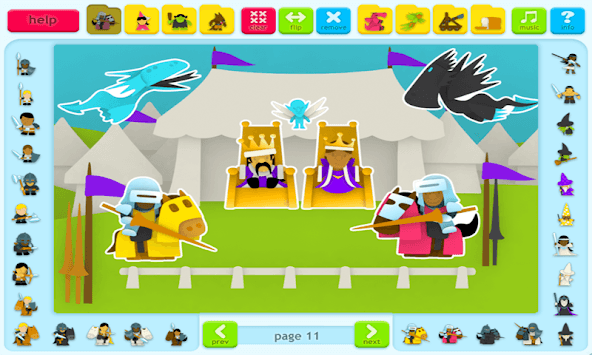 Kids can create scenes using hundreds of stickers from the pretend realm and place them on dozens of backgrounds from the medieval time period. Sticker categories include: knights and wizards, kings, queens, princes, and princesses, human-like creatures, monsters that live on land, monsters that live in water or fly, landscape items, and medieval decorations. These stickers, unlike paper stickers, can be used over and over again within different scenes. This lite version has 5 backgrounds.